With autumn here and winter fast approaching this means a lot of cosy nights in in front of the TV. One for the ladies Desperate Housewives follows the lives of four women living on Wysteria Lane following their friends sudden suicide. It shows the aftermath and continues on with the drama of each of their lives. There's scandal, comedy, baking, a murder of two and some fabulous outfits. What more could a girl need? Follows the lives of interns at Seattle Grace hospital learning to practice medicine. I know more hospital dramas aren't they all the same? Honestly I was so pleasantly surprised with Grey's Anatomy the witty dialogue, loveable characters and the occasional crazy plot line. But as the acting is so good it makes the show. If you choose this one make sure you stock up on the tissues. Follows a group of survivors after a zombie apocalypse. Rick Grimes wakes up in a hospital after a coma during the outbreak and goes out to find his family. If you're not a fan of gore this one is not for you. This show is brutal not even the main characters are safe! Tissues and maybe even a sick bucket may be needed if you have a weak stomach. One for the teenagers or early 20 year olds. Awkward follows unpopular Jenna Hamilton and her school life after an attempted 'suicide' bid. Shows the awkwardness of being a teenager in high school and the many awkward situations that the characters end up in. The clever and hilarious dialogue and likeable characters stop this show from being a cliché teenage programme. One of the most recent ones I've started watching. Earth has become uninhabitable and man kind has had to live in space for the past 100 years. Now they are sending 100 prisoners down to earth to see if it is inhabitable again. Action packed and a different idea for a show. It's got all the typical character clichés but its very addictive. Another girly one following the lives of Manhattan's elite and the mysterious Gossip Girl an online blogger who knows all their secrets and every move and posts about them frequently. This is the ultimate show for girls attractive guys, high end clothes and outfits to die for. Scandal and gossip this is one of my favourite shows!! Follows author Richard Castle as he works on murder cases with the NYPD. It seems there are many shows out there that follow this plotline but what makes this one different is the wit and charm of the wonderful Nathan Fillion. A clever plotline and different stories each episode keep this series interesting. The hit show that has everyone asking who is A? After the disappearance of their friend Alison. 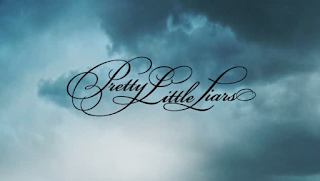 Aria, Spencer, Emily and Hannah are brought back together through messages from the mysterious A who happens to know all their dirty secrets. This show is gripping very cleverly written and keeps you guessing each season. After the loss of their mother brothers Sam and Dean Winchester are raised as hunters saving peoples lives killing demons. While hunting the demon that killed their mother. Definitely on the horror side with an element of humour mixed in. A great show for the lovers of monsters and horror stories. Buffy Summers is a vampire slayer, the chosen one she alone can stop the vampires demons and forces of darkness. While also navigating high school and trying to have a life. This show has always been and still is my favourite TV show while being rather old now I still feel it is a classic it has everything you could want in a TV show! So those are my top ten shows to watch in the winter which of these are your favourites and what would you choose to watch? ?